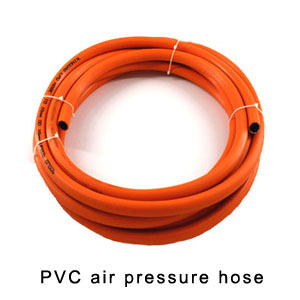 Home›Blog›How to maintain 3/8“ PVC Air Hose? How to maintain 3/8“ PVC Air Hose? 1, need to regularly clean once, in the clean-up time recommended to use warm water for cleaning, do not use overheating or cold water, otherwise the vacuum cleaner hose has a certain impact. After cleaning the 3/8” pvc air hose, can not be installed immediately, should be cleaned after a place in a ventilated, wait until all dry, and then installed. 2, regularly check the ventilation and air situation how. The reason why there is no way to dust is also because the vents are blocked reasons, so often check the situation of the vent, 3/8” pvc air hose if there is a clogging phenomenon, to promptly poke open to ensure that can be used normally. 3, do not have a vacuum cleaner when the power to cut off, if through the power, then there may be some security risks, but also on the vacuum cleaner itself there will be some damage. Especially in cloudy weather, 3/8” pvc air hose is not connected to the power, to avoid electric shock, fire and other phenomena.